Leo Diamond presents a beautiful princess cut diamond in a vibrant halo design, loved by many for its glamour and sparkle. 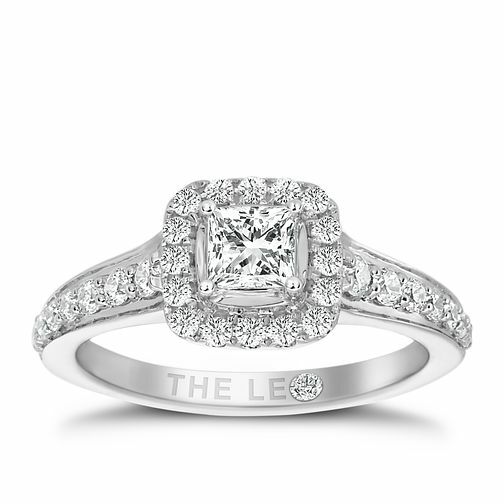 The Leo Diamond is a product of four generations of expertise in the art of diamond cutting, resulting in the first diamond that was independently certified to be visibly brighter than other diamonds. The band is made from 18ct white gold. An extra certificate is included in your purchase to verify its superior light performance. The total carat weight of all diamonds combined is 3/4ct.